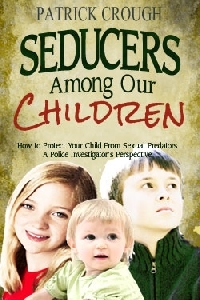 Seducers Among Our Children is the personal perspective of an investigative police sergeant who knows first hand the inner workings and methods used by sexual predators. This book offers a practical, simple presentation of how child predators operate in today's society. It will educate concerned parents and guardians about how to recognize when a child predator is in their midst, how to protect children from that predator, how to recognize if their child has already been offended by a predator, and what to do if their child discloses he or she has been offended by a predator. For the adult reader who was sexually molested as a child, this book may assist you in making some sense out of what happened and help you understand it wasn't your fault. From chapter 1: "On a warm spring night in May 1994, 5-year-old Kali begged her mom, Judy Gifford, to allow her to go outside to play on her Big Wheel tricycle. Judy was preparing magazines that she was to deliver that evening. The two would go together for the deliveries. The small amount of money that this single mother made from her second job was to pay for a family trip to Disney World the following summer. As Judy put the flyers together, Kali became more and more anxious to go outside. She was looking forward to going to McDonald's after the deliveries were completed. Finally, Judy relented and told Kali to stay right near the front door. Five minutes later, she went to check on Kali, and she was gone. It was the last time she would ever see her daughter alive." For more information and excerpts of the book, visit www.lighthousetrails.com/saoc-release.htm.